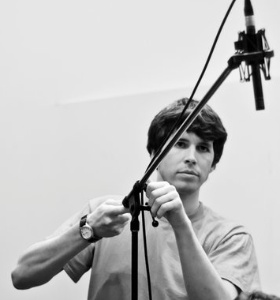 Denis Martin is a freelance audio engineer, producer, and percussionist with diverse interests and expertise. Based in Montreal, QC, he specializes in the recording and production of rock, pop, R&B, jazz, classical, and world music. Musically, he pulls from a wide range of experience having played with many professional and university ensembles: orchestras, chamber groups, big bands, jazz combos, and rock groups. Alongside recording music, Denis also films music, specializing in the production of live performance videos. Denis is currently a second-year doctoral candidate in Sound Recording at McGill University where he is also employed as an instructor in advanced technical ear training and recording techniques. He holds a M.Mus in sound recording from McGill and a B.Mus in percussion performance from Acadia University. To date, Denis has worked at several recording studios and has produced over 50 commercial music recordings.